This is a fantastic opportunity to own 27 quarters of prime farmland that has had extensive drainage and field work completed. Located between Foam Lake and Yorkton with multiple delivery points available including two large canola crush plants in Yorkton. Potential cropping options include: canola, flax, peas, oats, soybeans, and wheat. There is one yard site with power, a 40 x 60 Quonset and one optional 10,000 bushel hopper bottoms bin located on the NW 21-26-7 W2. 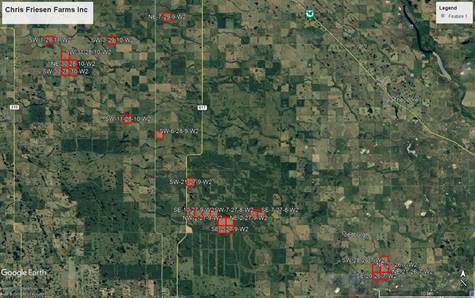 Please note that the SAMA assessment values and the cultivated acreage does not reflect the extensive field improvements. Property Management Services Available to source and secure tenant(s).